The new look Pyroteknc.com demonstrates the overall Pyrotek capability, presents a united brand statement and creates a platform housing comprehensive resources and information for customers. 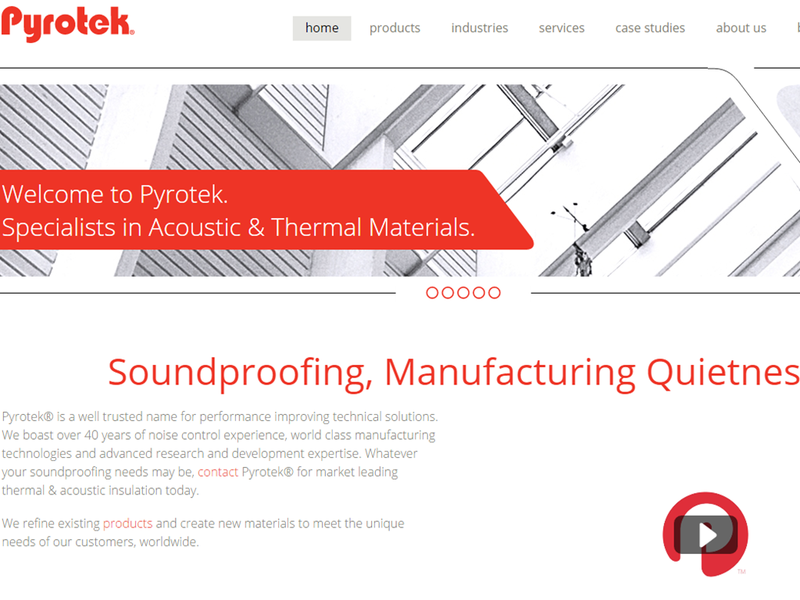 Featuring Pyrotek’s well known and proven acoustic and thermal solutions, the new, user-friendly website provides quick and intuitive access to performance-improving technical solutions, intelligent products and simple designs for high-tech manufacturing. Pyrotek’s expertise extends over 40 years in the creation of unique solutions and materials, designed to solve various noise control issues and thermal challenges. The new Pyrotek website offers a mobile responsive design across a number of devices, and is updated with the latest products, case studies, information and news. New features on the Pyrotek website also include a brand new industry product filter allowing users to find and view products; ‘quick links’ providing easy access to documents, downloads, and popular ‘bestseller’ products; white papers and technical articles; unique areas for installers and specifiers; information on the latest international compliance; and a newsletter updated with the latest product developments and news.